I recently signed up for my first beauty subscription box and in August I received my first 3B Beauty Box which I unboxed and reviewed. This is my second box and this month I was chosen to receive a digital product card instead of a physical card. I didn''t mind since I try to be green when possible and I was also able to see what I was getting ahead of my box's arrival. 3B which stands for Beauty Beyond Borders is a beauty subscription box that makes Asian beauty products more accessible overseas. This is a monthly service that costs $12. Each box contains 4 -5 deluxe samples from a range of brands. 3B is currently just a US based subscription service. This box is ideal for anyone interested in trying out Asian beauty products or can't access them easily. They have a waiting list for new subscribers which you can sign up for here. So this product was supposed to be in last month's box but the RiRe Luxe Long & Curl Mascara came instead. I was actually a little disappointed so I was happy to see it in this month's box. 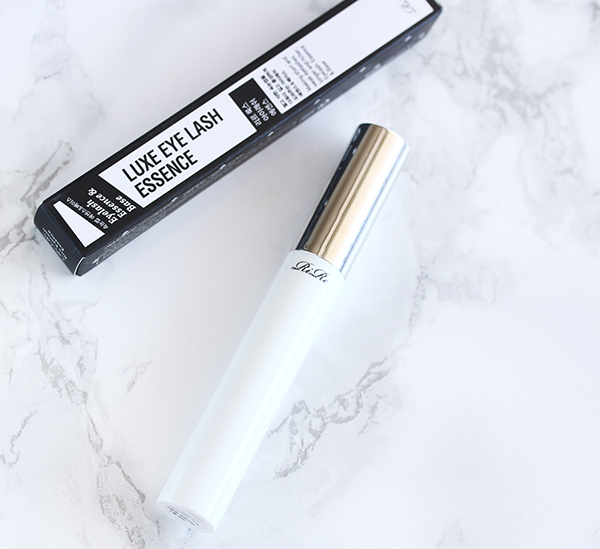 This lash essence contains a combination of elastin, peptides and black bean and black sesame extracts to strengthen and nourish lashes. You're supposed to apply it before bed, coating the lashes from root to tip. Daily use is recommended for longer and thicker lashes. I haven't started using this product yet but I will soon cause my lashes could use a little boost. I did open it up to see that it's a standard mascara brush with a sponge applicator tip. I think that there is something to the black bean and black sesame extracts as my mom has told me that both promoted lustrous hair growth. This is a full size product. On a side note, I've been using the RiRe Luxe Long & Curl Mascara and I like it. The loop shaped brush takes a little getting used to but it provides decent lift and separation for my lashes and the best part is that fiber formulation doesn't clump or smudge. And the rose scent is subtle and nice. 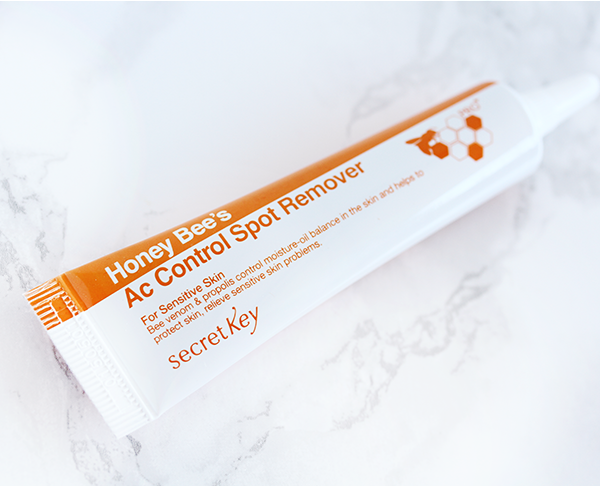 This AC Control Spot Remover is specifically formulated to directly target troubled areas by eliminating pimple-causing bacteria and healing irritated skin. Honey Bee Venom and Propolis are both known for their excellent antibacterial and antiseptic functions. This also contains Centella and Portulaca extract to soothe aggravated skin and repair it from inside and out. I've heard about the effectiveness of bee venom and propolis on blemishes so this product intrigues me and I like that it's good for sensitive skin. I do get occasional breakouts and I'm curious to see how well it actually works since I read some positive reviews for this on Memebox. I can share this with my husband as well. This is also a full size product and I can see it lasting for awhile. So 3B sent out three types of this hand cream and you could get Snail, Aqua or Placenta Therapy. This hand cream is formulated for dry and damaged skin and contains nourishing placenta extract and shea butter ingredients to make your hands moist and silky. I'm familiar with this brand for their sheet masks but I didn't know that they also made hand cream. I'm all for hand creams and I have them stashed all over the place but of course I got my last choice out of the three. I was really hoping for the snail cause I'm cool with snail mucus but placenta just seems a bit weird. Like where does it come from? At least this doesn't have any parabens or mineral oil. I'll probably use this eventually since it's hand cream or I may end up giving it to my mom. This bestselling Japanese glycerin-based cream is enriched with vitamin E, vitamin B2, and camphor. It is a non greasy formula that absorbs quickly and stays locked in for hours. It can be used to smooth rough, dry patches on hands, elbows, knees, and feet and softens and reduces tough calluses, including hard, cracked heels, and helps heal and prevent split cuticles. Knowing me, I probably made a face when I saw that this product would be in the box as I still have little sample tubes of it that have been sent to me from Dermstore and Sephora orders. To their credit, this was a deluxe sample size but the tube I received was so dented up that I actually thought it might've been used. But when I opened it up, it appeared to be new. Still I had to smooth it out so the tube would be a little more photogenic. I've used this cream before and it is effective for soothing dry skin but it also has a strong camphor scent which I'm not particularly fond of. For what it does, I much prefer Egyptian Magic which I totally swear by for many skin ailments. The Verdict: Overall I was pretty satisfied with this box. I liked the skincare focus and the fact that 3 out of the 4 products were full size products which makes it a great value for $12. 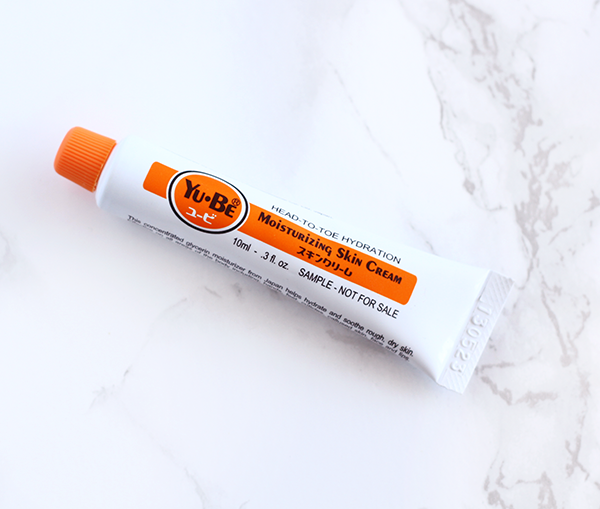 The Yu Be Cream was the only real miss for me since 3B boxes are supposed to contain products that are "new or popular in Asia but hard to get your hands on". This cream has been around for a number of years on the US market and is also readily available at Sephora so it's really nothing groundbreaking. That said, 3B Beauty and I are still good for now and I look forward to seeing what next month brings. Lovely box with a lot of interesting product. That lux eye lashes product sounds great...and I hope that hand cream works well because in winter time a good hand cream is an essential. ...and about Honey Bee cream...I knew that propolis was good for the skin, but I never heard about bee venom sooting skin and removing bateria...interesting stuff. The tube cream sound interesting and it works for dry skin that is good is hard to find a product that helps with dry skin glad it was not use doll lol. Have a great weekend. Interesting products! I would love to try this spot remover. love yu-be! i liked seeing what you got. such great choices and for a great price! I wish this subscription is available for Canada too, I love both boxes that you received. 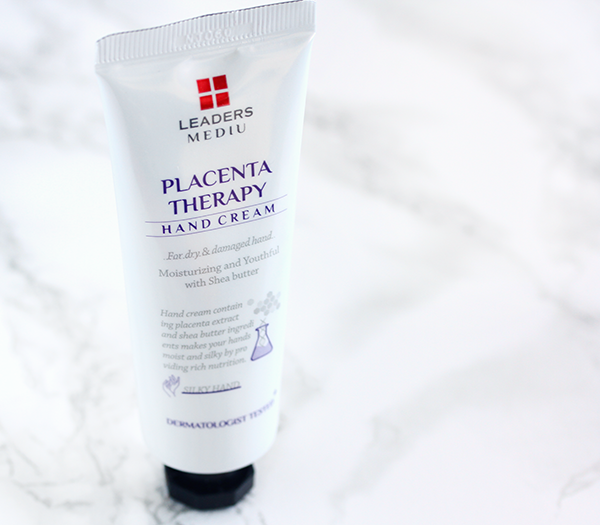 You got some really good products here, Rowena however, I am with you on the placenta hand cream....I would have felt a little icky. Sounds like a great box that's actually unique compared to the other subscription boxes that are available. Too bad this isn't available in Canada though. That honeybee venom has me curious Rowena. Bookmarking this! Very nice products! I need placenta therapy for my hands!!! All the products look high quality and are really useful. Enjoy and have a nice weekend! These products sound great! Love that the mascara has black bean and black sesame extracts...very cool! This really does sound like a great way to try out Asian products and $12 is not bad considering it is coming from over seas. I adore beauty boxes, Rowena! My eye-sight is failing me. For an instant, I thought I saw 38 beauty box! It took a while before I realized it's actually 3B. Hahaha! The box sounds like a good beauty investment for all the products that it comes with.I'm a scary cat when it comes to skin care since I have sentive skin, everything I use on my face has to be hypoallergenic. Great buy though! I've seen a rise in popularity for lash serums lately, though I had no idea they were to be applied before going to bed; I'd always assumed they were to be applied underneath mascara - how interesting! Sounds like a great box dear, thanks for sharing ! 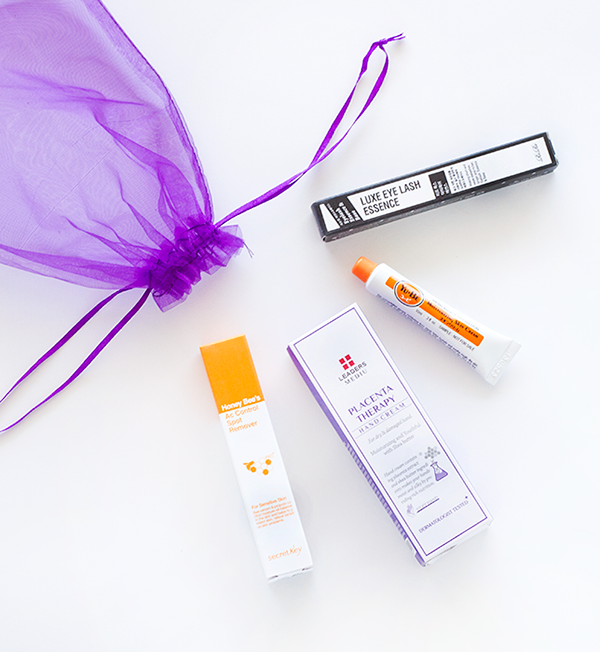 I've heard a lot of the benefits of a beauty box subscription. Thinking to get one too now! Would love to try especially the RiRi Essence since my lashes are quite short. :) Wow, be venom and propolis seem to be effective ingredients, I didn't know that. 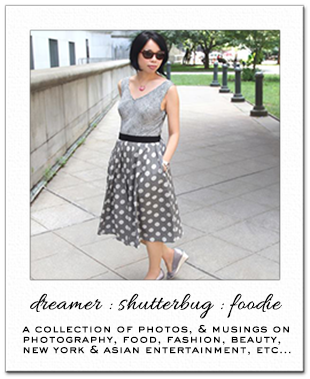 Thank you for sharing, my dear Rowena. Enjoy your weekend! Some of those products look interesting but I'm with you on the placenta. Where does that even come from? I think I have a tiny sample of the Yu-Be somewhere but haven't tried it, I think I might agree with you about the smell not being the greatest. Happy Sunday! I want to try the eye lash essence. Nice products. Hello Rowena! I want to try Asian cosmetic, heard good reviews about your products and your post him back to confirm. Nice review! Nice! I am also cool with snails, but the placenta sounds weird indeed! I would love to try the eye lash essence! I waant to try all of these!! This box looks great for the value!